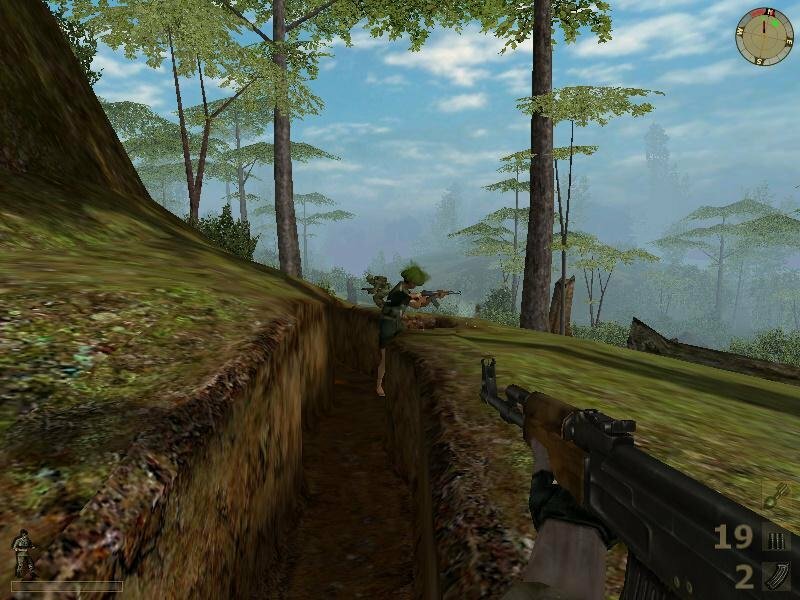 This squad-based Vietnam shooter isn’t playing around. You can cross this river and climb the ridge on the other side. Levels are fairly open-ended. 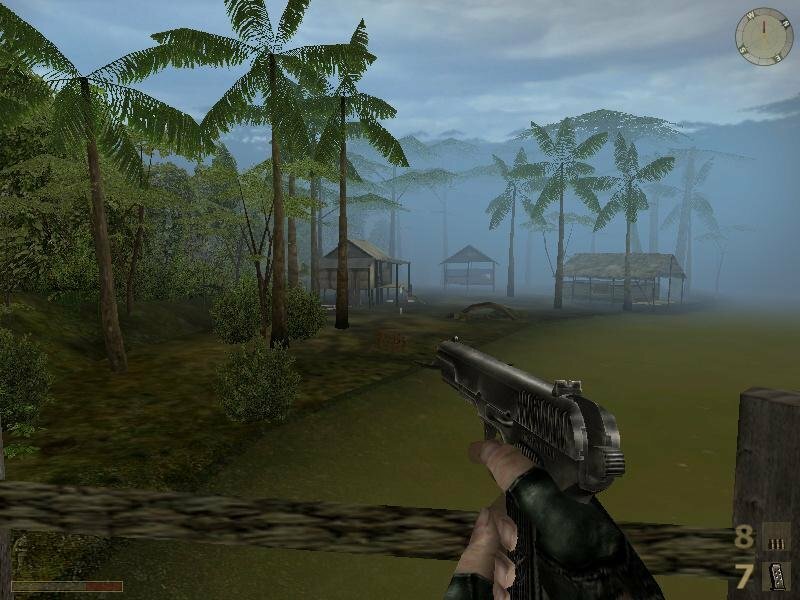 Try to be an optimist and be grateful that Vietcong, an import shooter covering the Vietnam war from a squad-based, story-driven perspective, could have blown so much more. In fact the game displays frequent bursts of genius, but its faults are noteworthy as well. You assume the role of one Steve Hawkins, a First Class Intelligence Sergent and strike team commander serving in Vietnam. 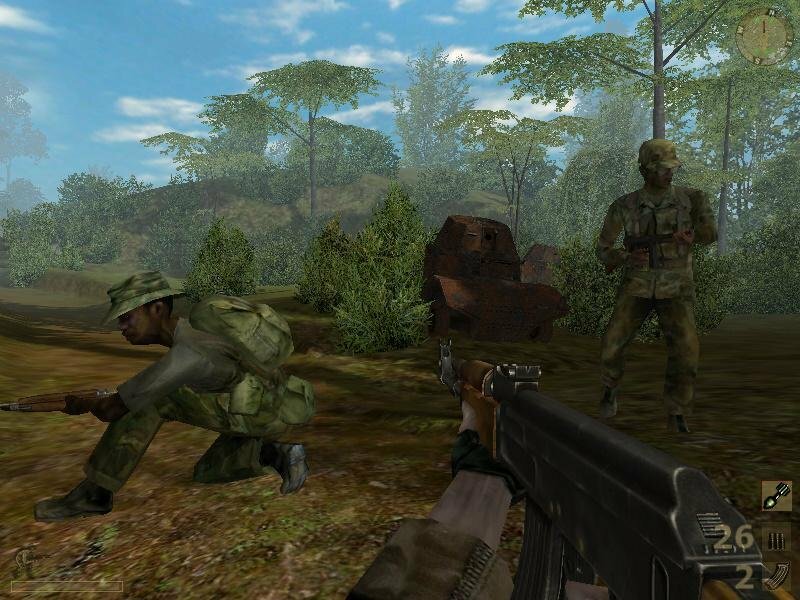 Vietcong is primarily mission based, and encompasses the war from around the late 1960’s towards the mid 1970’s. 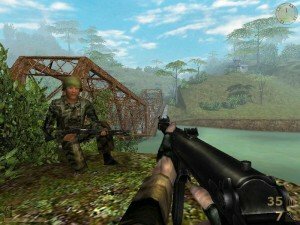 Although you’ll trade some bullets with the NVA, your primary focus will be fighting the VC guerrilla regulars around the thick Vietnamese jungles. 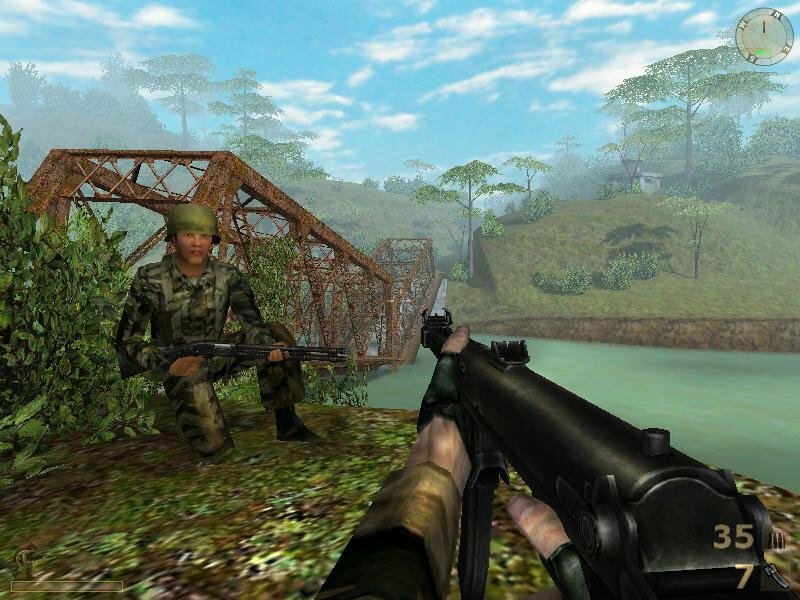 Unlike most other shooters based on this war, Vietcong actually attempts to paint the conflict with some brushes of authenticity – you’ll learn about the former French colonial presence in Vietnam (and sometimes find remnants of their occupation), you’ll be treated to strict military lingo and operational procedures, and will find that tactics will win the day in armed engagements. For a developer based outside the United States, Pteredon seems to have done its research. That pesky ‘realism’ schtick that so often hinders gameplay in other shooters is used quite effectively here, enhancing the entire experience rather rather subtracting from it. You have some degree of control over your squad, which number three to six people. All of these guys are specialized characters, ranging from a pointman who can find the safest route through the jungle, a medic that can stitch you back into shape in no time, plus an engineer, radio-man or a heavy machinegunner. 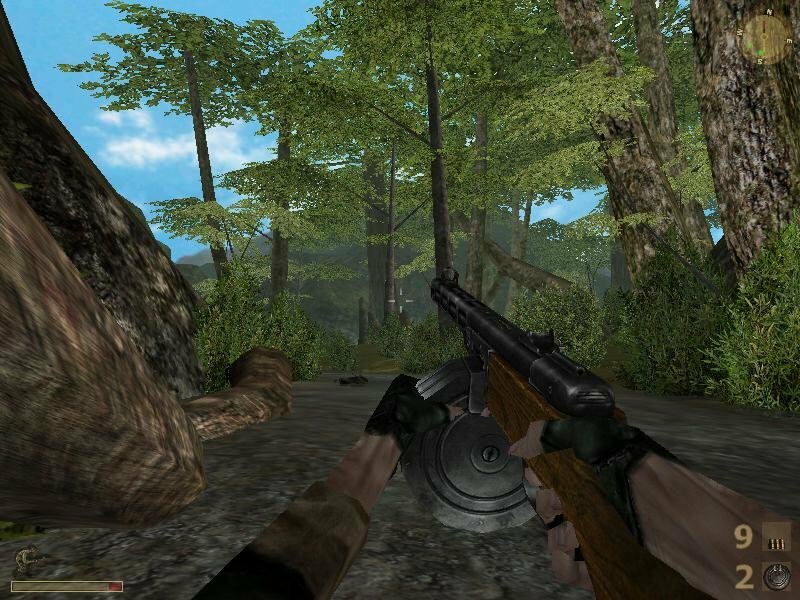 There are no artificial health pick-ups in Vietcong, and life is extremely fragile – even on the lowest difficulty, you won’t survive a full burst of AK fire at close range. Your medic can bring you back in fighting order, but every first-aid will sap your overall hitpoints by a small margin. Your radio-man is the second most interesting character, as you’ll have to keep your higher-ups informed and updated on your mission progress. Each important event has to be called in, and the game rewards you with auto-saves. 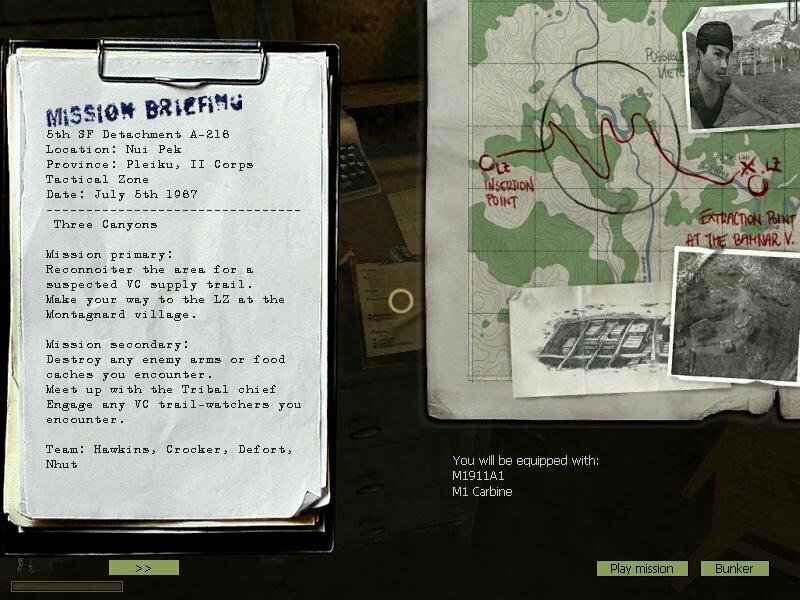 Missions, like the rest of the game, are treated as realistically as possible – you attend a briefing session beforehand, and are given time to prep up. 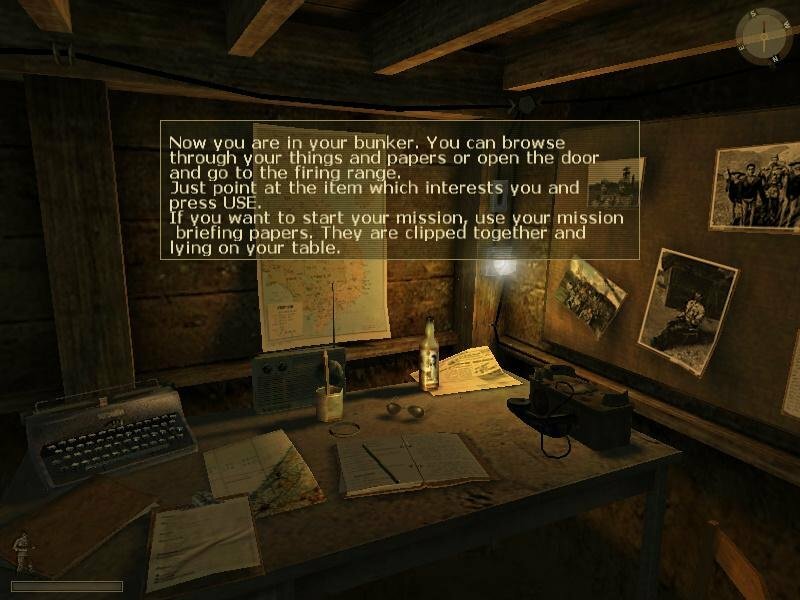 This includes selecting your weapons of choice, browsing through intelligence data (ranging from short essays on VC guerrilla tactics, how to spot and disarm traps, weapon information cards and the ever expansive mission clipboard) or firing off a few rounds down at the range, which stocks up on new guns after each mission. 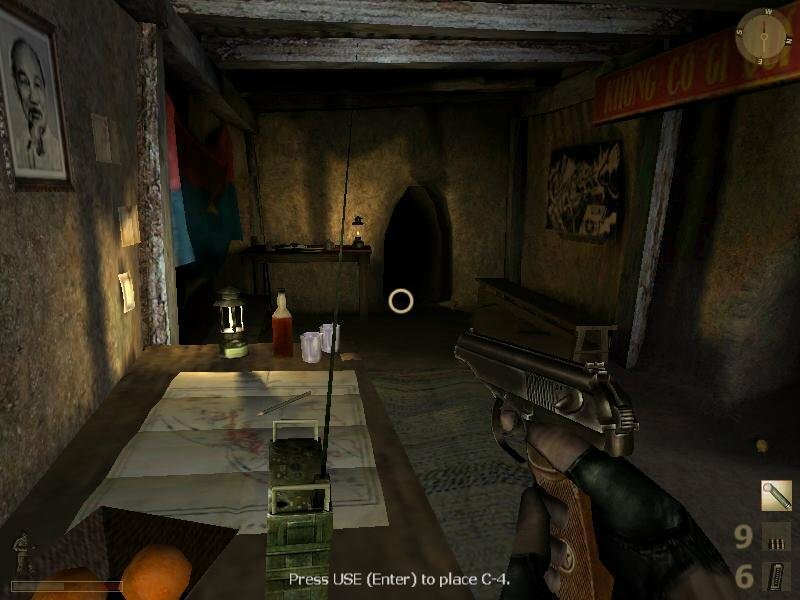 Your arsenal is limited to one primary and one secondary weapon, plus a few grenades and a combat knife. You can trade your starting gear for anything you can scavenge on the battlefield, and the guns are all nicely modeled. 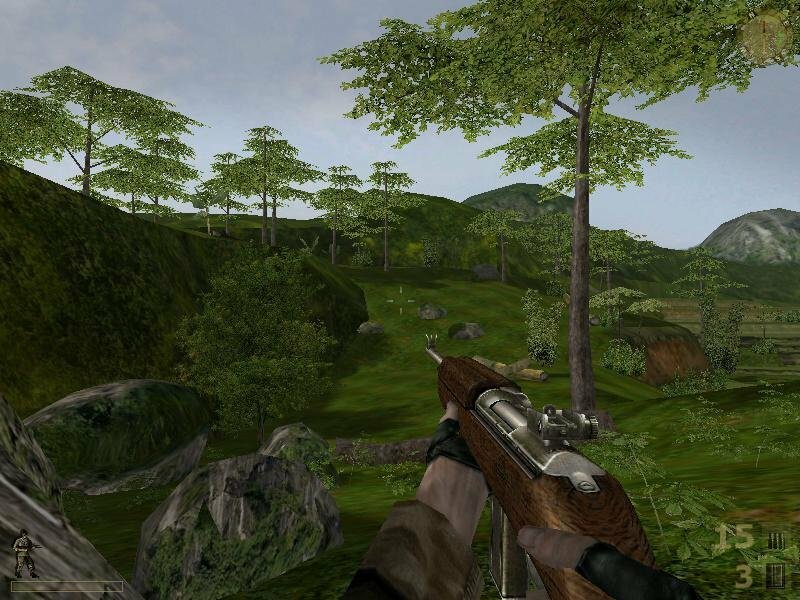 For instance, you can switch between auto and semi-auto firing modes or aim down the sights for precise shots. 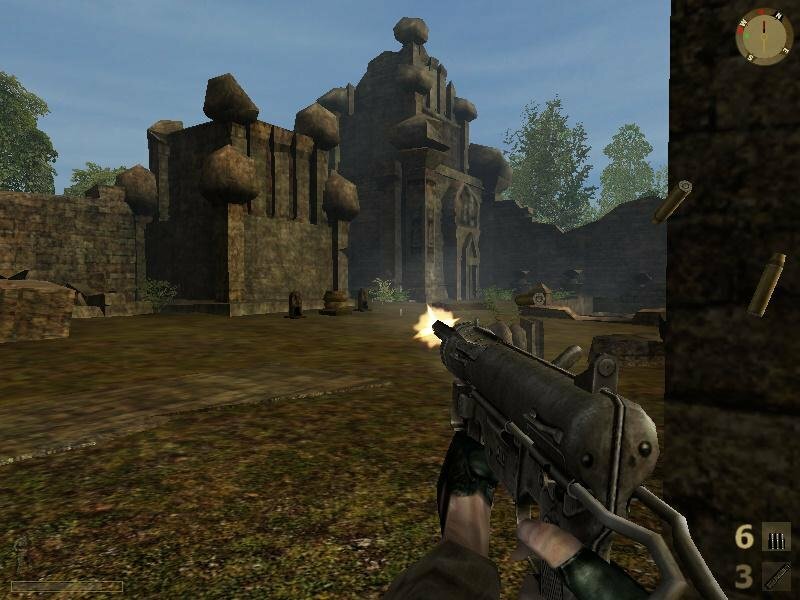 Reloading will have you switch between magazines realistically, and grenades can be baked before throwing. From open jungles to claustrophobic caves. 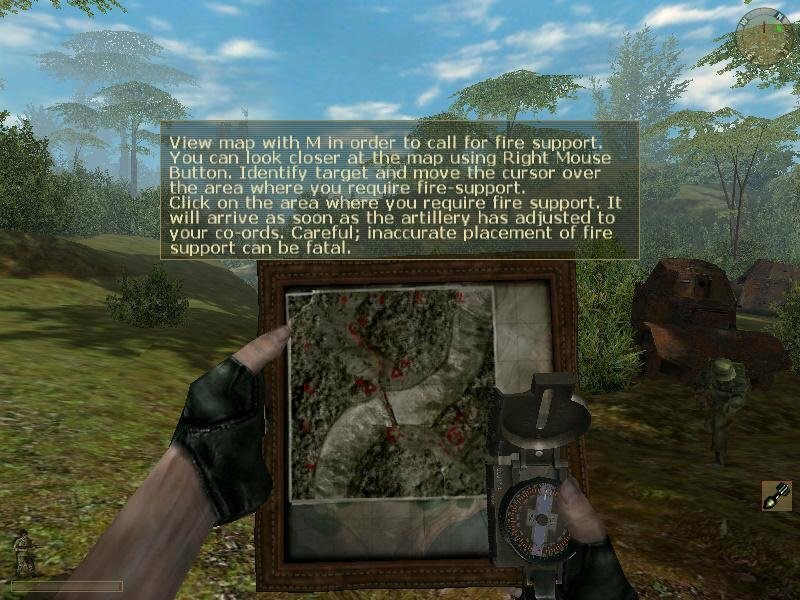 Assignments are far from predictable, taking you through every kind of imaginable scenario, some more enjoyable than others. The levels are absolutely gigantic – the introductory mission will have you drive to a nearby village. 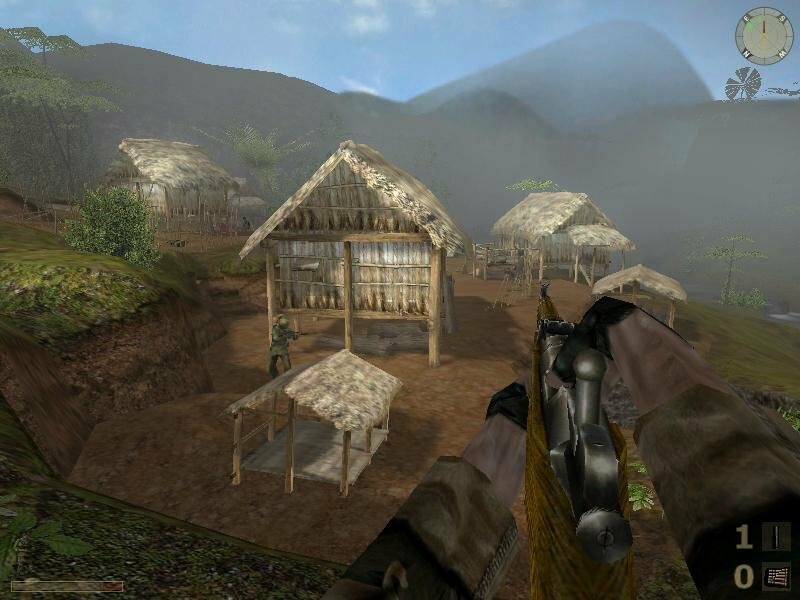 You get to experience the ride over there, then battle your way through a giant valley after the village comes under attack from a sniper, then get into some light jungle warfare after the sniper and his friends ambush you – all in just one level. But then again, you can save yourself some hurt by taking the sniper out from afar, prompting his friends to scatter away. Many levels feature secondary solutions or bonus objectives that can lead to different outcomes. 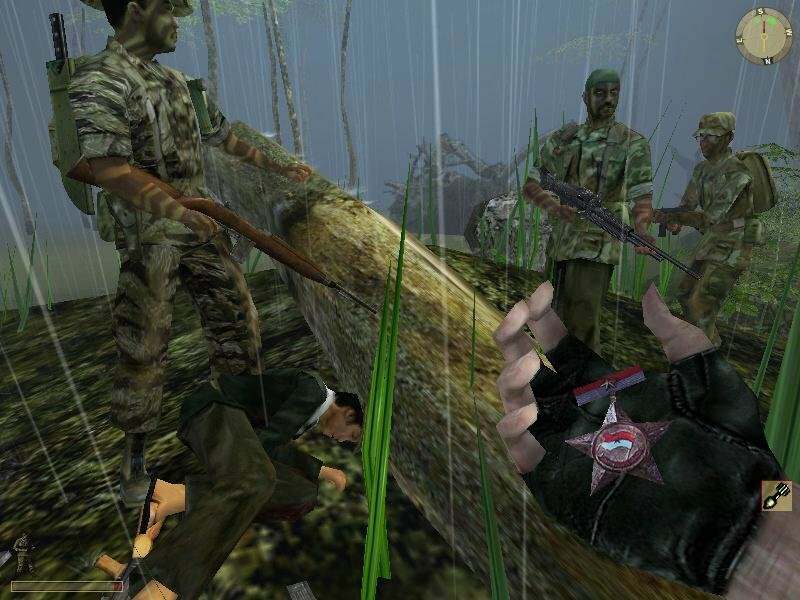 There’s a continuous sense of variety, but it doesn’t always work to Vietcong’s benefit. 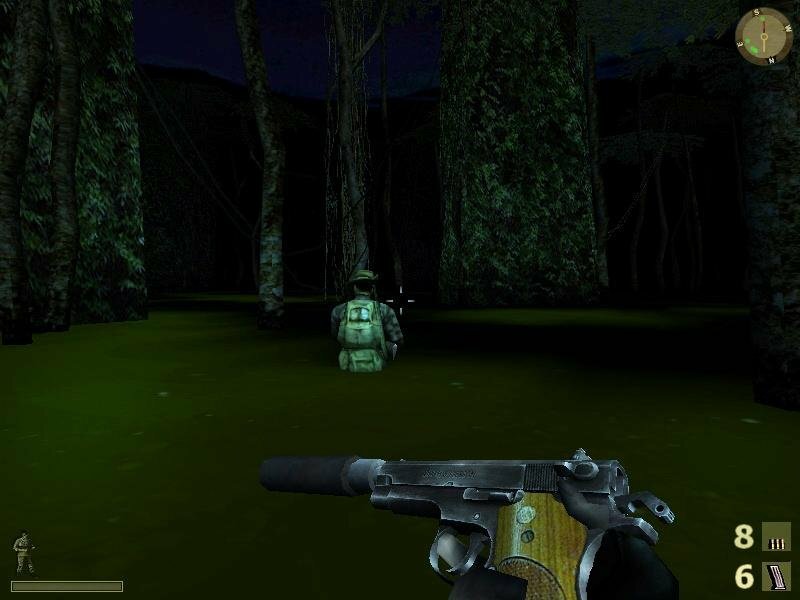 One stealth-based mission through a dark swamp involves rescuing a captured marine, and the experience is a dreadful tortilla of every bad stealth design element there is. 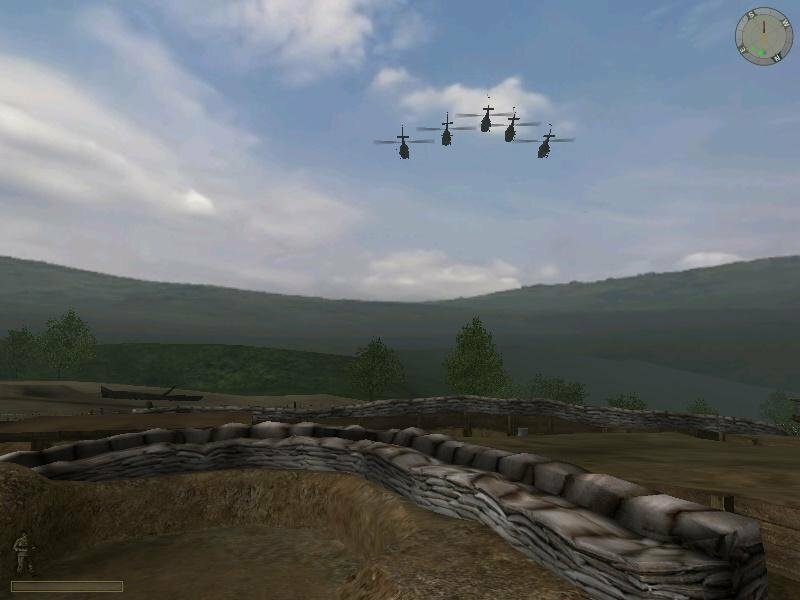 The AI will wreak the most havoc, with squad units that continually fall behind or enemy soldiers that will spot and shoot you dead in pitch blackness. The scripting is in dire need of some rewriting in some places, where you could potentially break the level programming if you did the wrong things in the right order, requiring a restart. Other missions, like one where you’re tasked with defending a hill in the face of incoming enemy troops, is also potentially breakable. 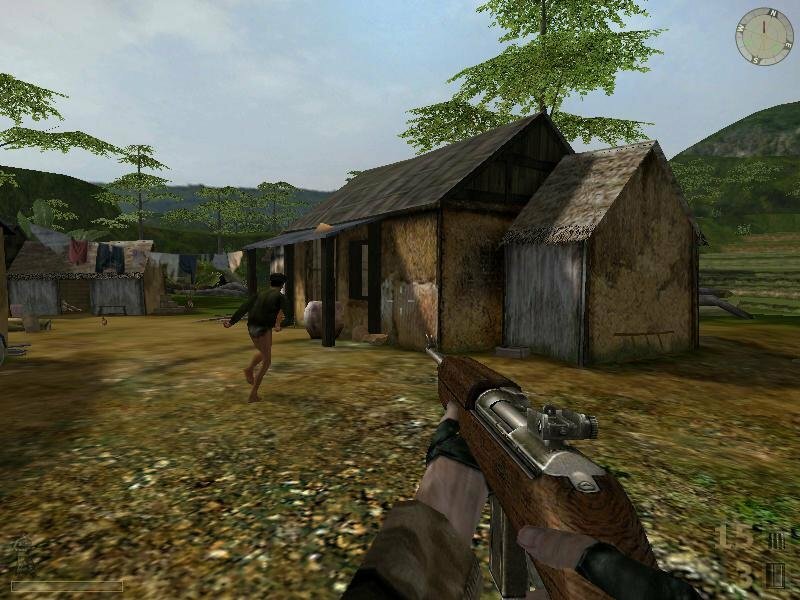 So there’s Vietcong for you, a fascinating stew of clever design and awkward programming. 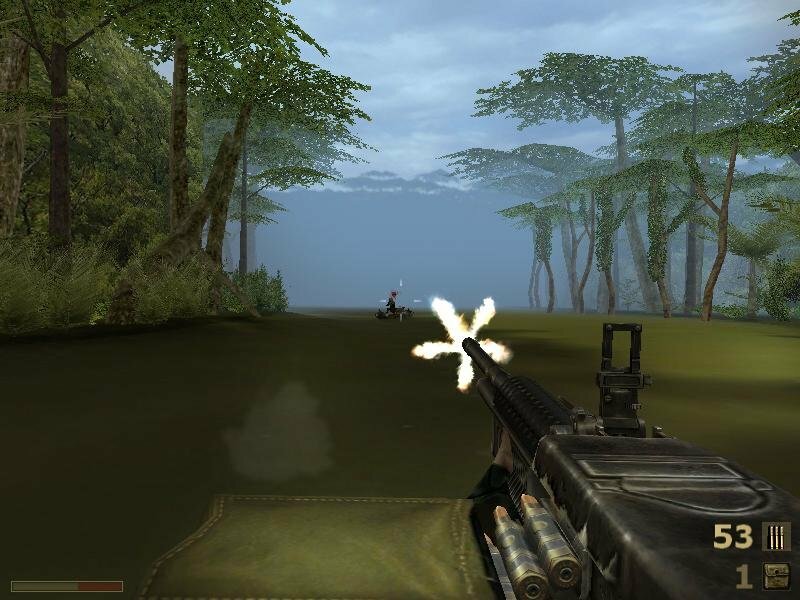 Drop the stealth and polish the AI some more and this could have been a fantastic game. As it, however, it’s only halfheartedly great. This game looks fun, I may download and try it out, see if anyone is still playing multiplayer! Sure. You can play it on GameRanger, but I don’t know how popular it is online. 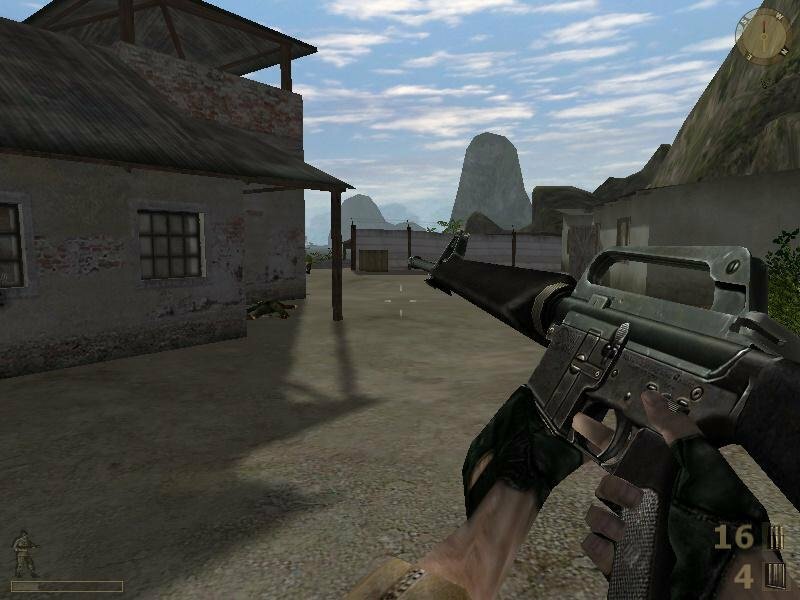 I used to love playing this game online! seems to have fallen off the edge of the world now that Pterodon stopped hosting the server which supported this. Bring back CTF!! (capture the flag) can still hear the loud horn on my headphones when I stole the flag! Bet there are small cliques dotted around that run servers – where are you?! The files are .7z and it won’t allow me to open them, I run on windows 8, I’m not sure if that has anything to do with it, does any one know why this is, thanks in advance. Well, I uncompress it, no instructions, and too errors pop up and apparently a missing .dll file. If it doesn’t work, it’s definitely down to your OS, not the game. installed the game, but when pressing Play, nothing happens…. someone knows what can be the problem? You need to copy the crack file to the game folder, what about the crash on the first mission?? I had so much fun with the multiplayer in this game. 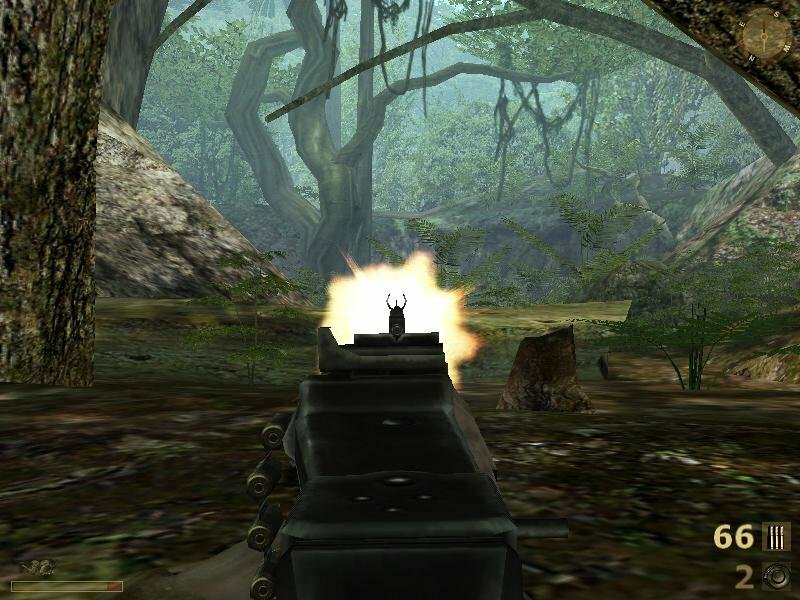 It wasn’t frantic run and shoot like Quake or something, it was a real battle experience. If you could find a storm level with plenty of other players on, it could be absolutely terrific. 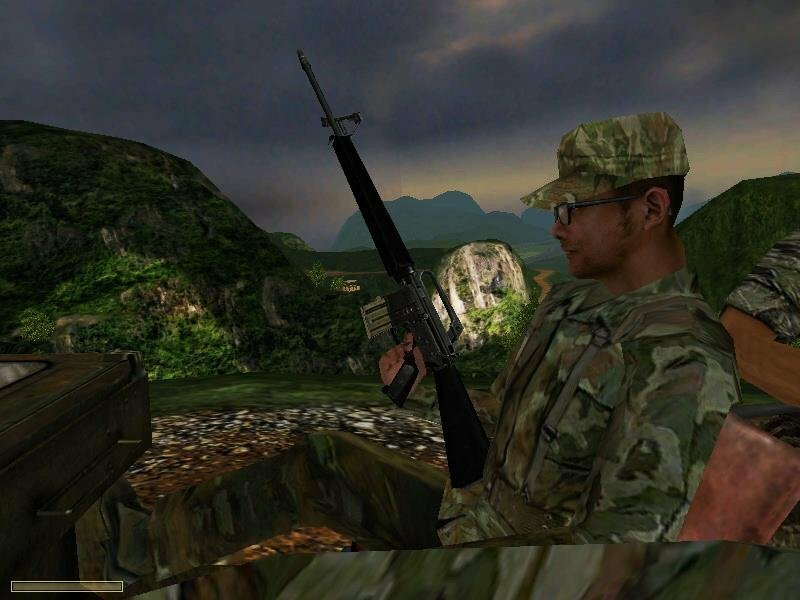 It was great fun playing as Viet Cong, finding a nest to hunker down in and fire rounds at the American bunkers, sometimes the US not knowing where the rounds were coming from. 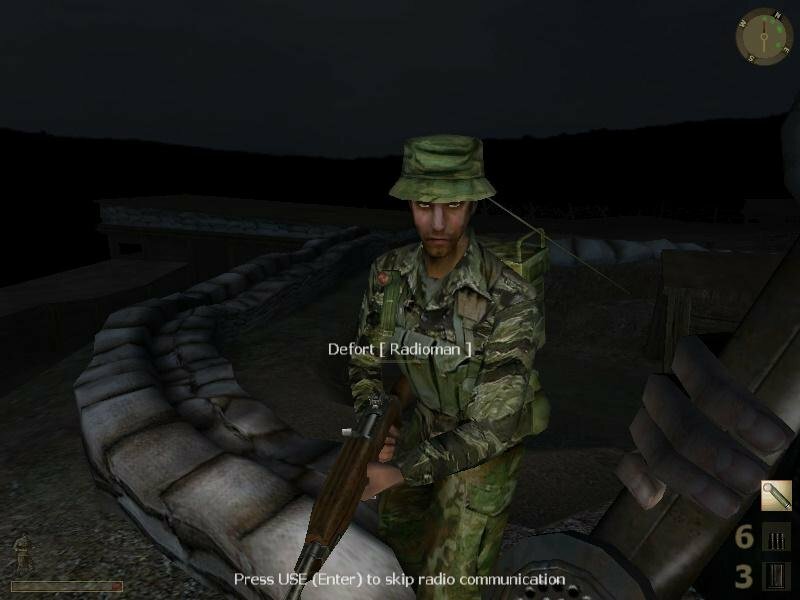 Playing as radioman and calling down airstrikes on the enemy position was great fun too. Like in real combat, ‘camping’ was a legitimate tactic here, not something to be frowned upon. You dug in and you held the line otherwise your team would lose. You waited for your opportunity to go for the flag and then you took it, running full pelt away with the flag just waiting for a stray round to hit you in the back and stop you in your tracks. Nowadays even an old machine could run this MP gem no problem and while I doubt anyone is hosting MP matches for it any more I might just download it for the nostalgia anyway. When I click vietcong.exe, an error pops up saying: “The code execution cannot proceed because logs.dll was not found. Reinstalling the program may fix this problem.”, and another pops up with the same message, but logs.dll is replaced with game.dll. Does anyone know if there is there any way around this? Help is greatly appreciated. Maybe this? http://www.dlldownloader.com/logs-dll/ no real idea. don’t blame me if this doesn’t make it work. …Now more errors are popping up saying I have missing files, and once I get those, even more errors. I’m not sure if it will work. If there is no known solution, I’m completely fine without the game. 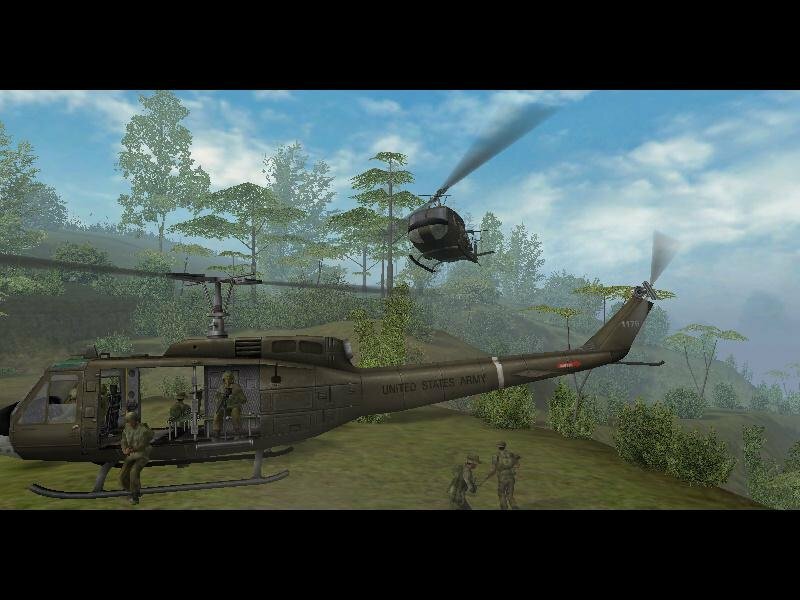 I was just very intrigued, as it is a game set in the vietnam era. All necessary files are included. Check your A/V if you’re having issues. (That separate review is closed for comment, or else I would’ve mentioned it there). But know that both the initial game and expansion are here, and all files are inclusive. Can you help me i download it but there is tiped Vietcong firts alpha and Vietcong if I open thi two folders i see only cracks can you help me? can you help me I downloaded this link and opened folders but I only cracks can you help me? Download includes original VC + expansion pack. Can i have the password please!!! The websites that you have given are not working. Can someone give me the password please!!!!!!!!!!!!!!!!!!! can anyone here explain what these guys mean by ‘password’? is it the cd key / serial code? I installed the game, copied the crack. 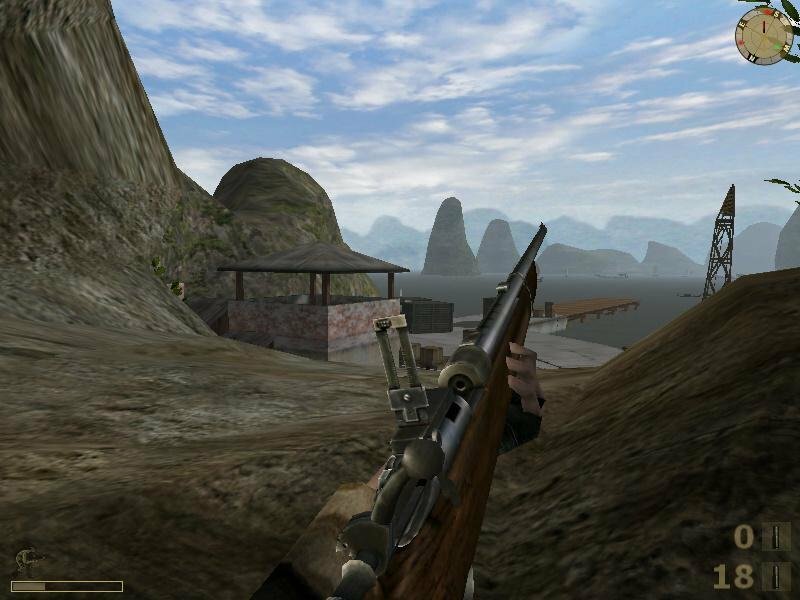 When I start the game it open for about 5/10 seconds in the screen where there is only the word ‘Vietcong’ and the bar. And then it crashed. I tryied to run in different compatibility mode. Someone can help me? Thank you.